Ankyloglossia or “tongue-tied” is a common condition among children. It occurs when the lingual frenulum (a piece of tissue located under the tip of the tongue) stays connected to the child’s tongue which keeps the tip of the tongue from protruding out of the mouth. A tongue-tied child generally has problems speaking as the tongue will want to curl on its end. This condition is not only found in children but adults as well, who never had their frenulum cut when they were a child. The procedure to cut the frenulum is quite simple and can be done by a dentist, below is a picture of what a tongue looks like with the frenulum intact. At our office, the procedure only takes about a half hour and is completed with just local anesthetic. Once the patient is numb our dentist will use a laser and cut the frenulum where it is connected to at the tip of the tongue. The recovery time is quite fast, with some soreness experienced. However, simply taking ibuprofen will be enough to alleviate the minimal soreness experienced. You will be able to eat whatever you would like right away, but it is advisable to refrain from spicy foods for several days as that could agitate the area underneath the tongue that needs to heal. You will notice a white scab under your tongue for a few days and that is completely normal as the tongue heals. Normally, following up with your dentist in a week is sufficient. Many children experience difficulty speaking at an early age and sometimes the difficulty can be linked to being tongue-tied. Due to the constriction placed on the tongue, different sounds can be difficult to make or impossible. 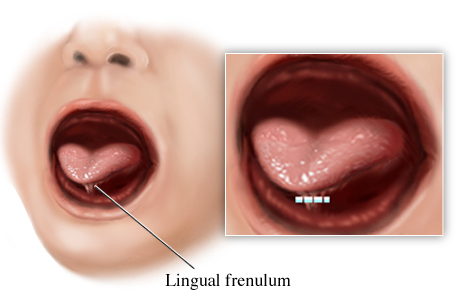 Many times children undergo speech therapy to help them speak when in reality cutting the lingual frenulum would greatly increase the child’s ability to pronounce words and possibly bypass a speech specialist altogether. This procedure can also increase the quality of life of an adult patient as well. Our office sees patients regularly that have difficulty pronouncing certain sounds and after the procedure, they are able to with ease. If you would like more information on an ankyloglossia procedure, contact our office today. 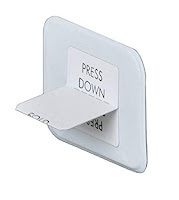 Our trained staff members will be able to answer all of your questions regarding this simple procedure. Give us a call today and let us help your child by ridding them of their tied tongue.